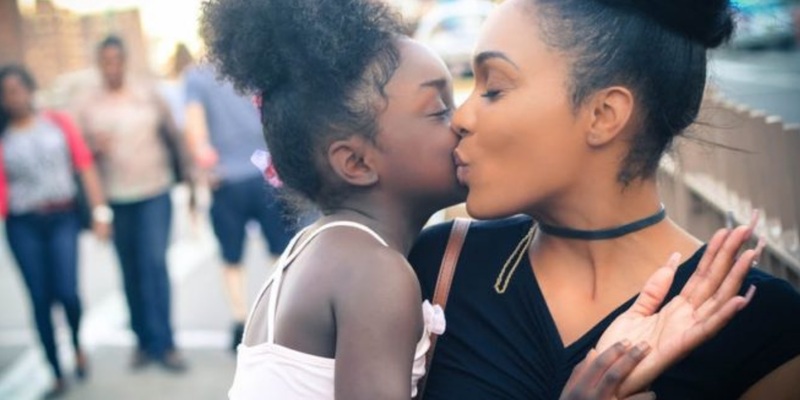 Kinship , and Primary Birth Families"
The Ohio Family Care Association (OFCA) serves as the statewide voice for the thousands of adoptive, foster, kinship, primary and respite families caring for children impacted by Ohio’s child protection system. 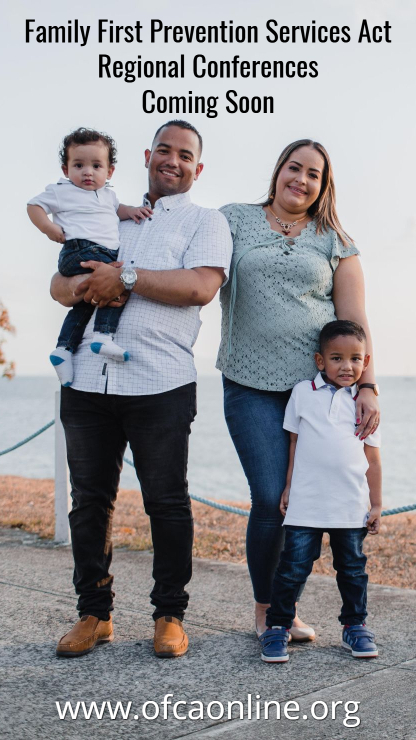 Our mission centers on connecting, empowering and serving families in 7 service areas: Advocacy, Community Awareness, Education, Post Services, Family Support, Building Connections and Fun Family Events. OFCA can help you better understand the journey of families through the child welfare system. Go to the Journey of Families to see resources for all Family types at a glance. 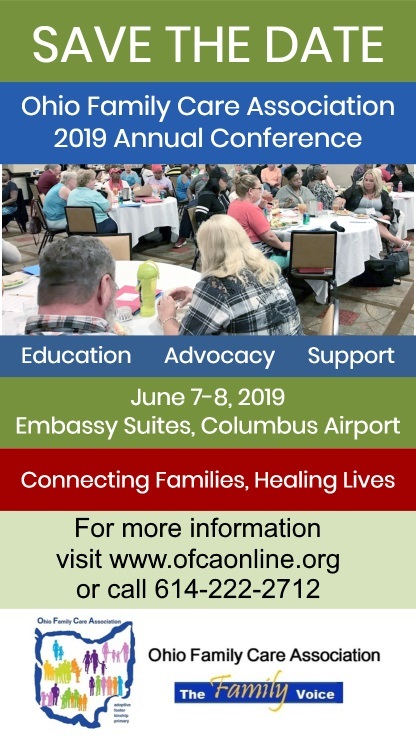 The Ohio Family Care Association believes real change can only come when families are at the table and their voice is heard.